This alarm clock not only looks like the famous R2D2 from Star Wars, but it also wakes you up with the typical R2D2 sound. Alarm clock in the shape of the famous robot from the Star Wars movies. 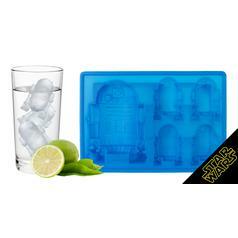 Projects the time to the wall and wakes you with the typical R2D2 sounds. This alarm clock not only looks like the famous R2D2 from Star Wars, but it also wakes you up with the typical R2D2 sound. 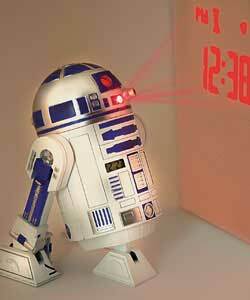 Additionally, it projects the time onto a nearby wall, just as the real R2D2 would. 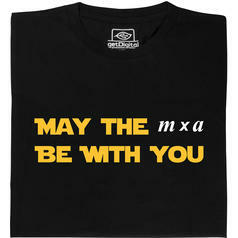 Is there any better way for a real Star Wars fan to wake up?! 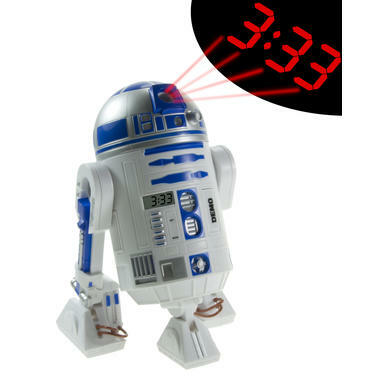 The R2D2 alarm clock has a built-in LCD display, which displays the current time and after pressing a button, the next alarm time. By pressing another button you can activate the projection feature. 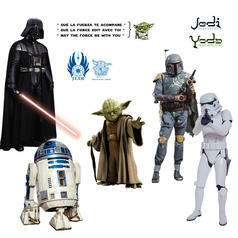 R2D2 will project the current time on a nearby white wall (best distance to the wall is around 2m). 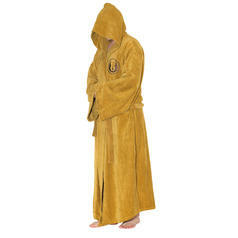 When the alarm time is reached, the projection will be activated automatically and the typical R2D2 sounds are played. 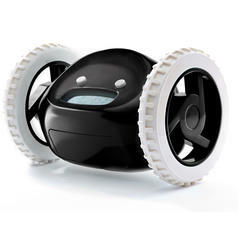 The alarm clock is about 17cm high and needs x1 AAA battery, which is included. The time is displayed in 12 hour mode (with AM and PM). 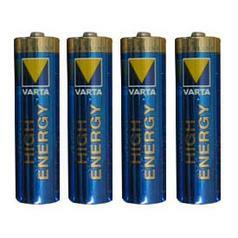 3,95 € lade... Varta Batteries: 4 * AAA Now you can order the right batteries for your new product!